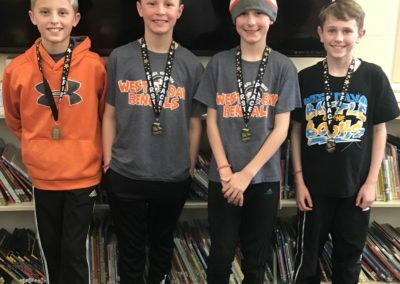 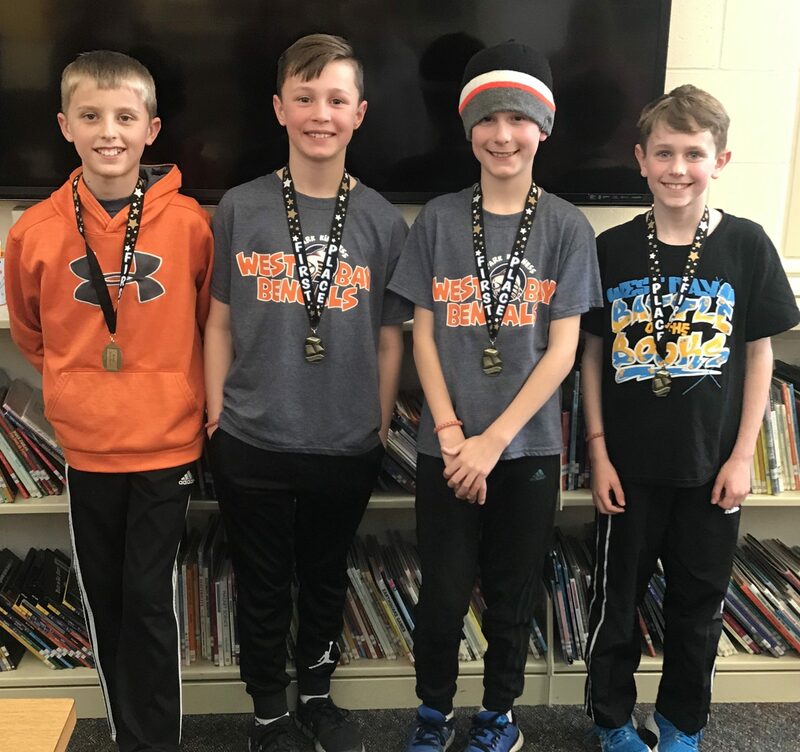 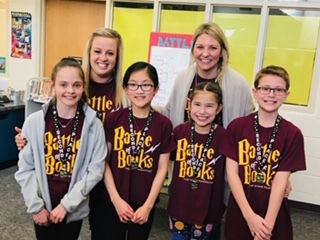 EPS Fourth and fifth graders recently participated in district-wide Battle of the Books competitions. 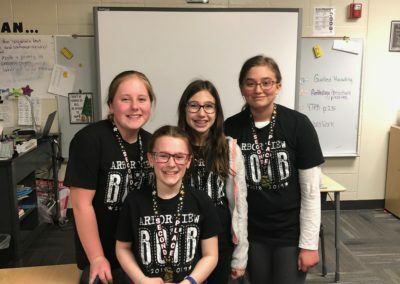 Students, in teams of 4, began reading a list composed of 24 books at the beginning of the school year in preparation for first, individual school competitions. 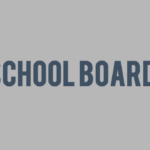 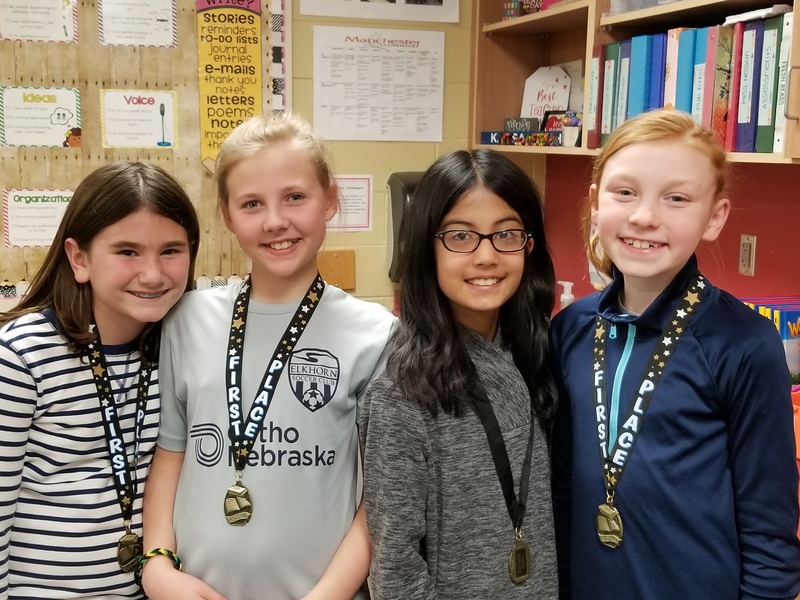 From there, individual school challenge winners move on to district-wide competitions where they compete against teams from other EPS elementary schools, answering questions to test their reading comprehension. 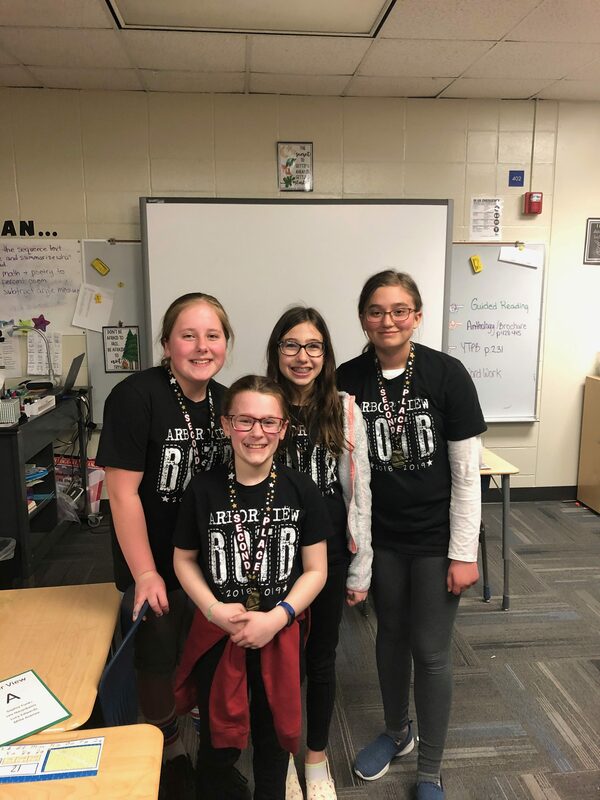 Three District competitions were held this year with the top four teams from each school participating in the District Battle of the Books. 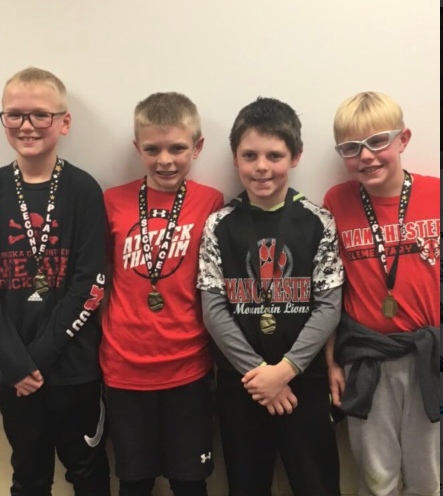 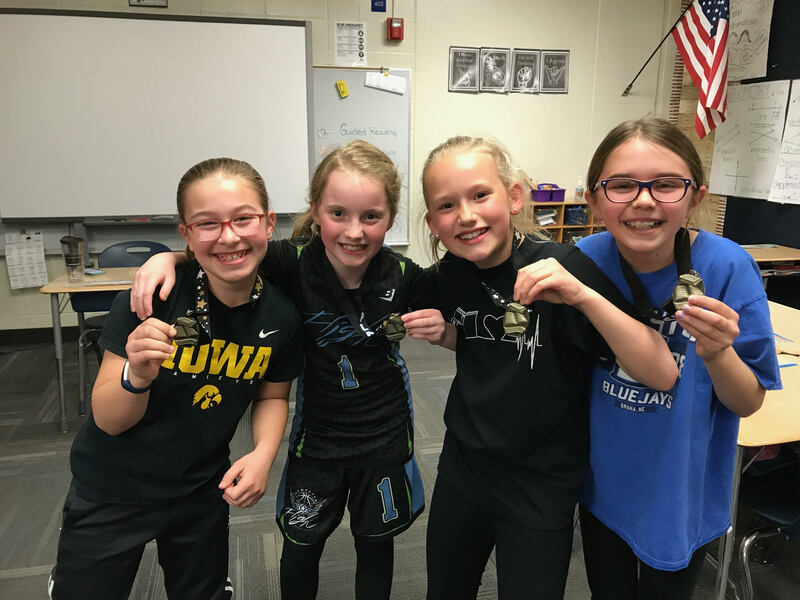 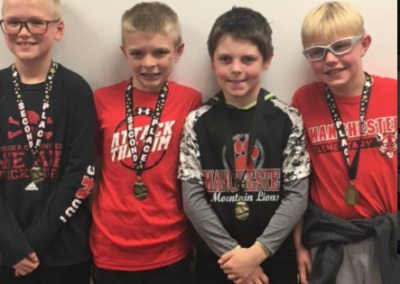 Students from Manchester, Sagewood, Blue Sage, and West Dodge Station competed at Manchester, students from Fire Ridge, Spring Ridge, and West Bay competed at Spring Ridge, and students from Arbor View, Hillrise, Skyline, and Westridge competed at Skyline. 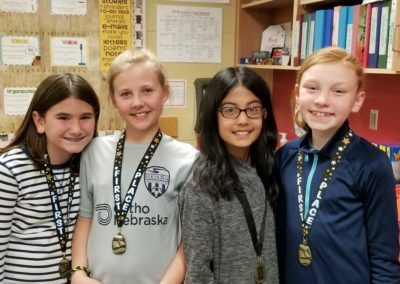 First Place Team representing Sagewood Elementary: Chloe Sikes, Hailey Coe, Niharika Kandari, and Piper Carl.